Meet some of the Pods today! Volta is the guy you want when you need to measure some voltage on your circuit. Using his two arms he shows you how many volts are in between them. Every time you need a jolt of electricity, Volta is here to help you out. You will most likely find him hanging out on the learning beach or the measuring beach. Although Ohmie is a relaxed and easygoing guy, his job is very important. He is responsible for limiting the current that is sent to various components on a circuit board. For example, you always find him hanging out with LEDs, transistors and timers. Ohmie goes by one rule only, and that is the Ohm's Law. Sometimes you just need to know the frequency of a signal. Well, Hertz measures that frequency and reports it back to you. That is very useful in many cases when a signal needs to meet a particular frequency. When you need to amplify small amounts of current, Darling is right there to help you out. She takes these small amounts of current and amplifies them for you. She also turns some signals on and off like a switch when you need to do it very quickly. Batteries can store large amounts of electricity and for long periods of time. Sometimes, you only need to store a little bit of electricity, release it fast, then reload. Cappy has you covered. 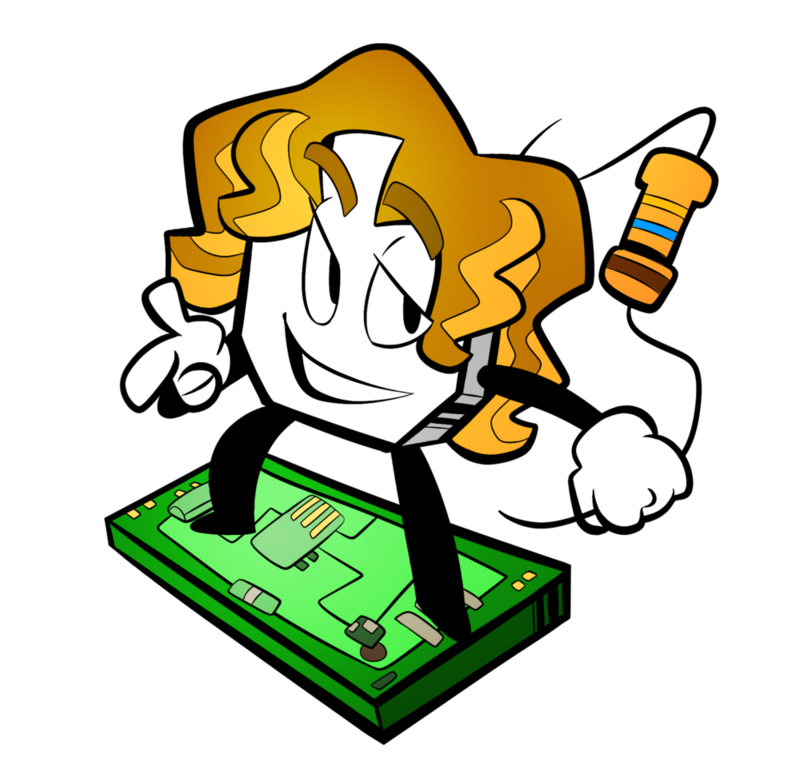 The master of all capacitors, Cappy has you covered. Do you need precise timings or to generate a reliable electronic signal? Nesss is happy to help you out. Along with Ohmie and Cappy, Nesss generates all kinds of signals for you. By the way, Hertz is Nesss's best friend, but she likes to keep it a secret. Binny counts anything you need in binary using only "0" and "1". Counting is so easy for him he looks bored, but, he counts faster than humans. Do you know that he can count in the millions per second? Redd has some super powers; she sends and receives messages using invisible light. We call that light Infrared because the human eye can't see it. She communicates with other Pods like her using her super powers. Addy is the class President and reports to Professor Pi. He speaks many languages and often translates information from electronic components into the language all Pods speak. Hot or cold, take Celsius on a trip with you if you want to know the ambient temperature. He not only reports the temperature, but he also stores the last measurements in a notebook and you can read his notes anytime you want.